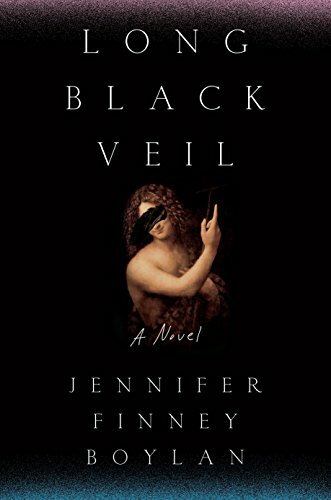 Long Black Veil by well-reputed author Jennifer Finney Boylan, although a page-turner, is a cumbersome read. From the first pages, set in the abandoned and supposedly haunted Eastern State Penitentiary prison outside of Philadelphia, a motley group of eight recently graduated college friends (one with a younger brother tagging along) undergo a horrifying experience and the loss of one of their members. This character’s disappearance languishes in police files as a cold case murder. No spoilers below. The first chapters are akin to entering a maze, and as the book progresses there are more dead ends and false starts than any inkling of a clear path to the safe center. After several confusing chapters, astute readers may have the characters straightened out, but the hard work demands too much. Decades (and chapters) later when these now estranged friends meet again and readers sense that Boylan is about to tie up the loose ends—solution to the murder, muted reconciliation among the group and justice served—the maze center safely gained, readers are in for more surprises. All the twists and turns and deliberate obfuscation of characters names and identities and piled on bizarre coincidences in overly descriptive scenes, only add to the Byzantian complexity of what essentially is a standard thriller with noire and horror elements. Also memorable are the scenes from a macabre student arts festival event in the abandoned prison. These overheated scenes with masked celebrants flitting in shadows, evokes similar scenes of Venetian masked celebrations as described in Jeanette Winterson’s book The Passion. Boylan is a prolific and strong writer. At her best she evokes the hair-raising chills Joyce Carol Oates can. But this book is not her best.